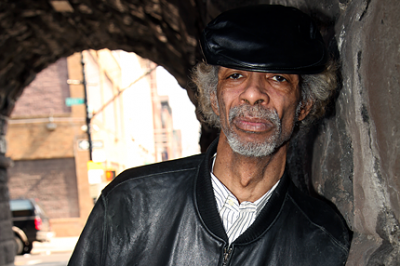 American poet/musician Gil Scott-Heron–whose work, most notably his 1970 poem “The Revolution Will Not Be Televised, inspired artists such as Public Enemy, Common, N.W.A. and Kanye West–died Friday in New York City at St. Luke’s Hospital. According to the Associated Press, Scott Heron became sick after he returned from a European trip. He was 62. Widely viewed as the Godfather of Rap, a titled he often downplayed, Scott-Heron released more than a dozen albums over his three decade career, much of it fiercely social and political prose about experiences of blacks in America, set to minimalist percussion. With incendiary titles such as “Whitey and The Moon” and “Home Is Where The Hatred Is” it’s easy see Scott-Heron’s influence in rap rebels like Ice Cube, Mos Def and Tupac Shakur. Born in Chicago on April 1, 1949, Scott-Heron was raised in Jackson, Tenn., and New York before attending college at Lincoln University in Pennsylvania, where he met longtime collaborator Brian Jackson. He was also an author, publish five books of poetry and fiction, include the 1970 mystery The Vulture. Head over to Spin to listen to some of Gil Scott-Heron’s greatest tracks.